What a funky new take on the bunkbed/loftbed concept! I just love new designers, bringing us their fresh new twists on all the classics... 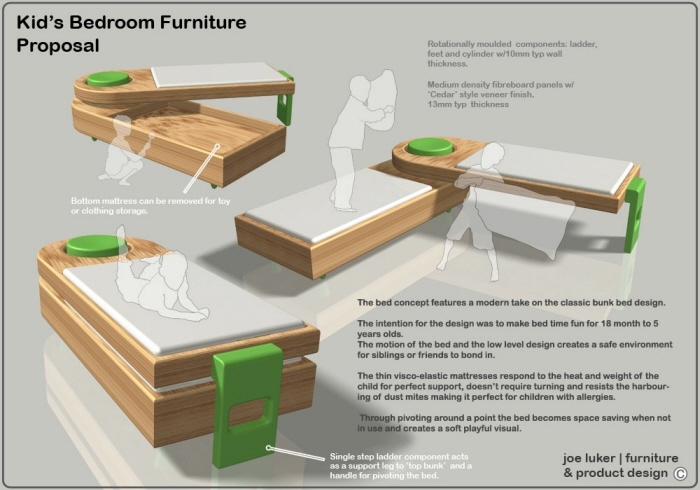 This one was a contest proposal by young furniture designer Joe Luker. If you're into this stuff, or on the market for some novel goodies, you can browse around Coroflot and see other proposals and invention by heaps of new design students - before they make it big in the industry.